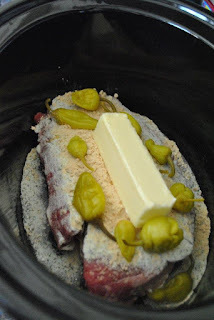 Put roast in crock pot. Sprinkle ranch mix and gravy mix on top. Add butter and place the peppers around it on top of the meat. Cook on low 8-10 hours.